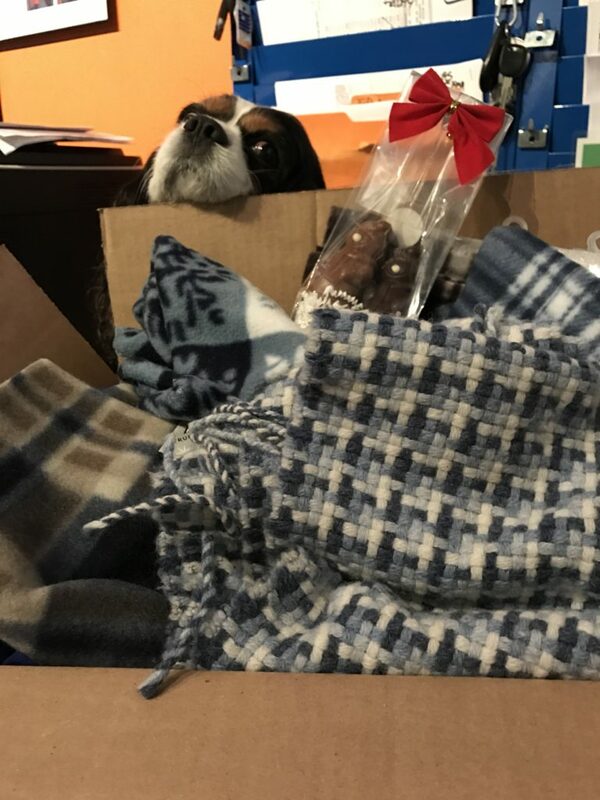 This past weekend one simple act of kindness, performed in the season of giving, exploded into a citywide effort to spread love and cheer in the community. 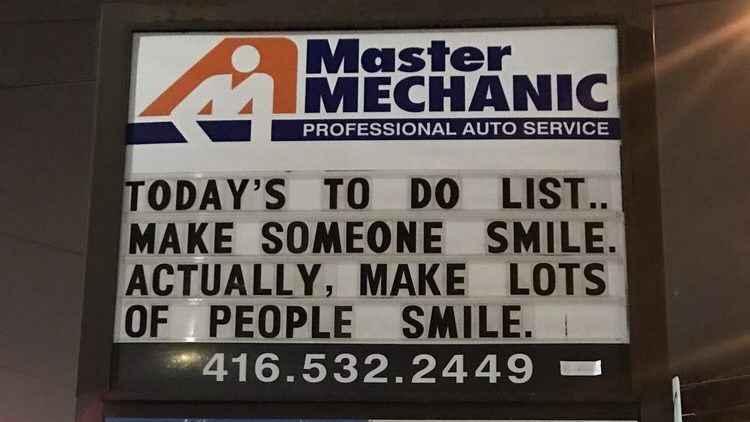 We at Master Mechanic are overwhelmed with the response this act of kindness has generated in such a small amount of time. This week we have had more and more generous business owners and individuals reach out to help to support our cause for kindness. 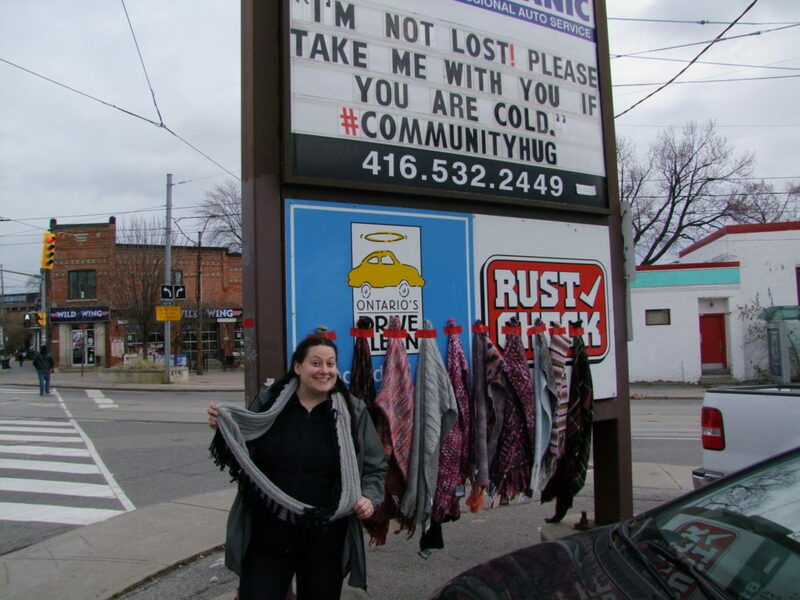 On Friday of last week, Master Mechanic High Park‘s Josie Candito taped scarves to her large parking lot sign with the sentence: “I’m Not Lost! Please Take Me With You If You Are Cold.” #CommunityHug — And one tweet got the ball rolling! 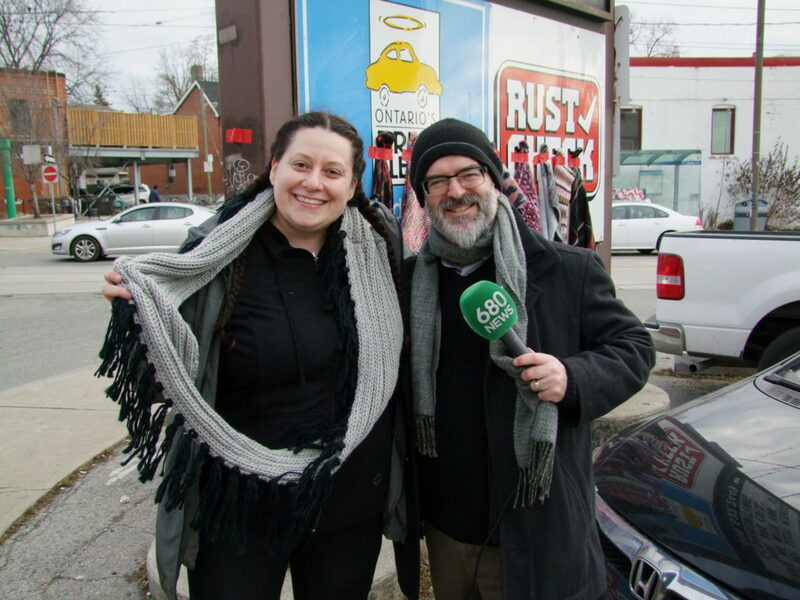 In addition to the tens of local neighbours coming by to add more scarves, Great International will be providing high quality scarves at below cost and Master Mechanic Head Office will be purchasing many scarves on behalf of all the Master Mechanic Locations to give away to the community further support this initiative! We are also receiving donations from National Collision Centre. So much kindness to go around! 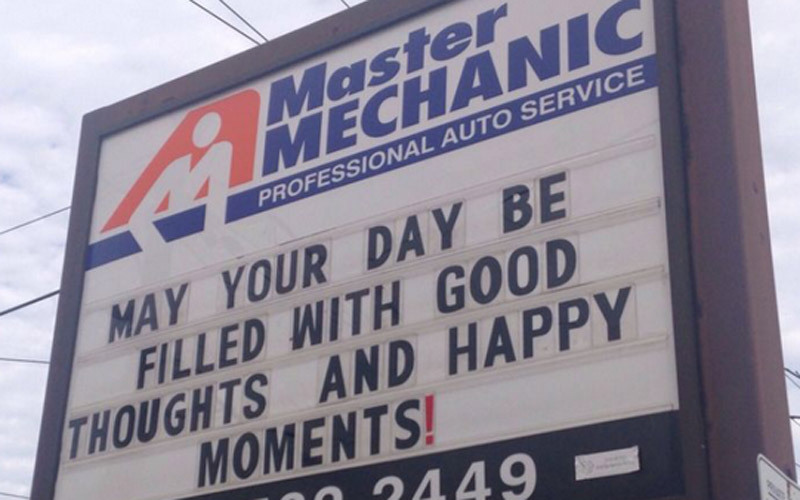 Supporting the community, especially this time of year and with the cold weather coming in, is something Master Mechanic is proud to do. 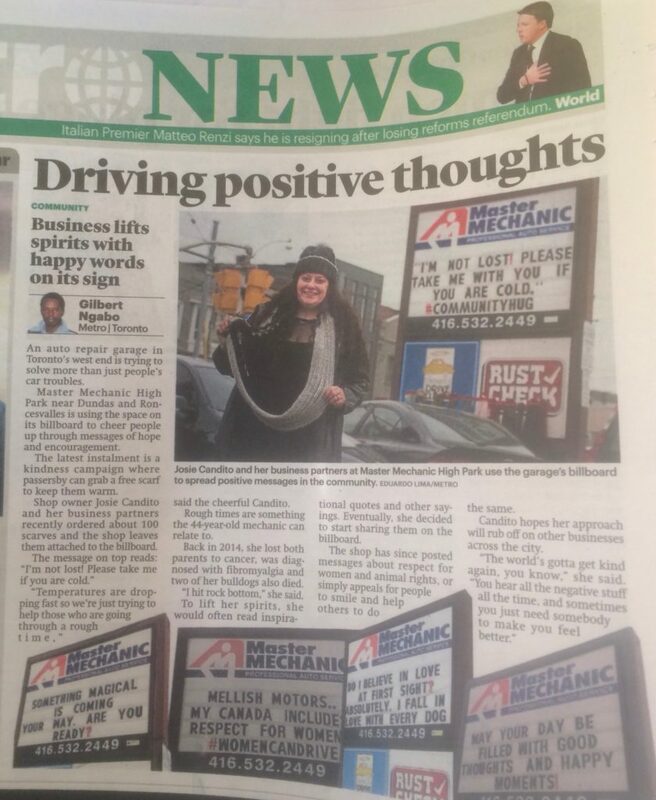 News stations including 680News, City TV, and Radio Humber have come to interview Josie and her team in front of the sign and find out more about the inspiration behind the sign, although all it really is about is creating more kindness in the community and the world. Listen to the Radio Humber interview here. 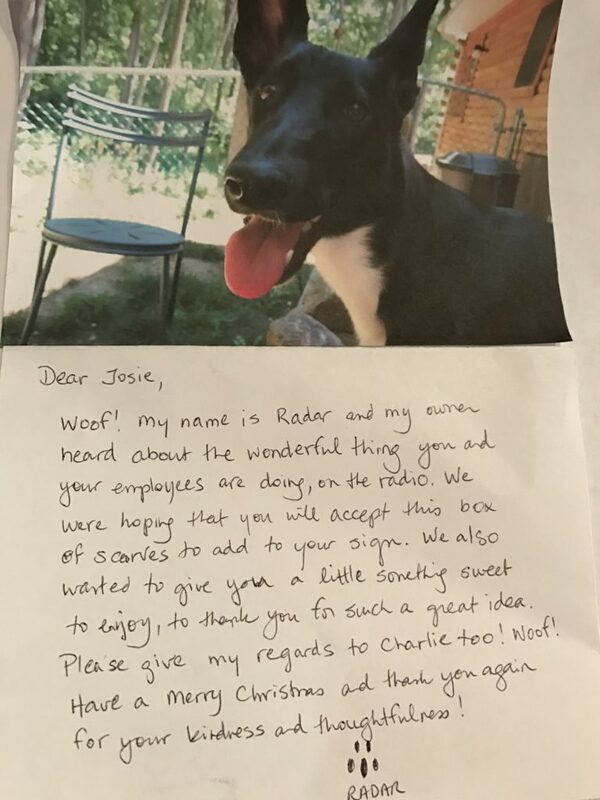 Josie made a new furry friend named Radar who heard her on the Radio! He sent a little note and a gift which just melted her heart!